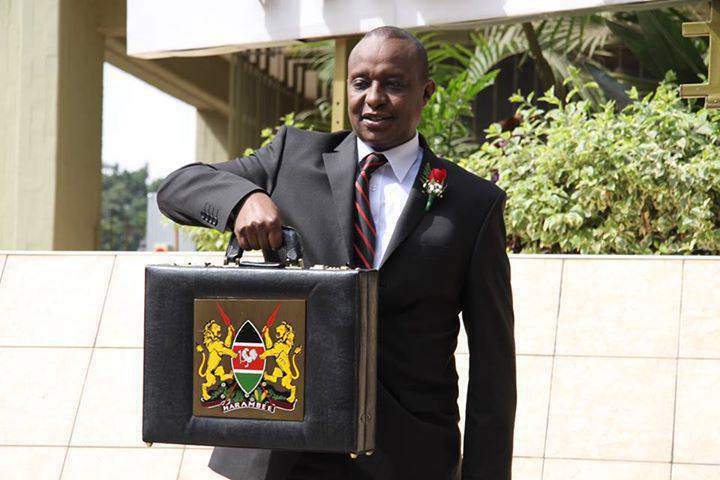 Yesterday, the Cabinet Secretary for Finance unveiled the Kenyan 2016/17 budget. The CS announced among other things that the economy grew by 5.6 percent in 2015 and was expected to grow by 6-7% in 2016. In 2015, the economy generated 841,600 jobs with a target of 1 Million jobs in 2016. In the statement the CS highlighted the continued adoption of ICT across the economy as well as strategies the government is putting in place to grow the sector. Various ICT projects were allocated Kshs. 6.1 Billion for their completion. What were they key take home points for the growing ICT sector in Kenya? One of the key promises of the Jubilee Government was the issuance of laptops to Standard One students in the country. The laptop project has already taken off in 150 primary schools earmarked for the countrywide pilot. In July, 11,500 schools will be issued with the devices out of a planned 22,000 schools. In this year’s budget, the project was allocated 13.5 Billion shillings which is what remained of the Kshs. 17.58 billion in 2015/16 budget. The difference has already been spent in the current financial year. The funds will be used for deployment of ICT learning devices to schools, development of digital content, building the capacity of teachers and rolling out computer laboratory for class 4 to class 8. A while back, we told you France Telkom Orange was looking to exit the Kenyan market by selling its 70% stake in Telkom Kenya. The government owns the other 30% stake in the telco. Helios Investment Partners is set to take over the operations in the next financial year. In the budget statement, the CS for ICT announced plans by the government to increase its stake to 40%. The government is set to offset part of the debt Telkom Kenya owes in exchange for the extra 10% stake. The government launched an e-citizen portal in August 2014 eCitizen.go.ke. The portal allows Kenyans to access government services in a single hub that has proven very popular among the citizenry. Treasury CS announced 1.7 million Kenyans have registered on the eCitizen platform, where they are able to access 115 services from different government agencies including some from County Governments. To date the platform has processed over 2.4 million transactions and collected KSh 4.2 billion in Government revenue. The government plans to include new processes such as assessment and payment of stamp duty, application for Identity Cards, and inspection of Company files. One of the core projects of the Vision 2030 was the development of Konza Technology City, a technology hub dubbed the African Silicon Valley or Silicon Savannah. Through Konza Technopolis Development Authority (KoTDA), the government has been looking to achieve set milestones for the project. In the 2015/16 budget, Konza was allocated Kshs. 800 Million to fast track projects which included the construction of the City’s first building which will serve as KOTDA headquarters. Konza Technopolis Develpment was one of the projects which benefit from a Kshs 6.1 billion budget shared with Single Window Support Project, Research Development Fund, Roll out of IFMIS, Digital Migration (KBC), and the Presidential Digital Talent Programme. During the 2015/16 budget, the CS announced the Kenya National Electronic Single Window System called Kenya Tradenet System would commence operations in July 2015. In the 2016/17, the CS Treasury announced 17 modules of the system are now operational while the remaining 3 will be completed in the next six months. The system Is meant to facilitate international trade by reducing delays as well as transactions costs involved in the facilitation of imports and exports documentation. In the 2015/16 budget, the government announced plans to take payments on to a digital platform. The plan was to digitize 100 inbound payment service transactions by end of 2015. These transactions included land transaction services, motor vehicle and additional services under the registration of persons, including birth and death certificates. The government at the time provided 9 payment channels and is planning to scale the digitization of payments across government departments. In March 2015, the government launched the Integrated Population Registration System (IPRS) to serve as the single one stop shop for personal information and biometric for both locals and foreigners. The IPRS provides a 360 degree view, allowing these institutions to authenticate documents by citizens or identify Kenyans by matching their biometric and photographic details with documents in their possession. It especially plays an important role in fighting terrorism and money laundering activities and so far records of 20 Million Kenyans are on the platform. The CS hinted at the increased usage of the system by the National Police Service and other law enforcement authorities. The government announced in 2015 plans to launch the Treasury Mobile Direct Programme that would allow investors to invest in government securities through mobile devices. The government was to subsequently launch the M-Akiba bond that will allow investors to purchase government securities for Kshs. 3,000 compared to the current Kshs. 50,000 threshold through their phones. The project has however delayed leading to protest by Kenyan MPs who even threatened to sanction treasury officials. The CS did not however hint when the project will take off. Others mentioned included revamping of KBC, the Presidential Digital Programme and roll-out of IFMIS targeted in the 6.1 Billion allocation.